This package combines Borla's celebrated V2 Midpipe with their unique oval-tip mufflers. 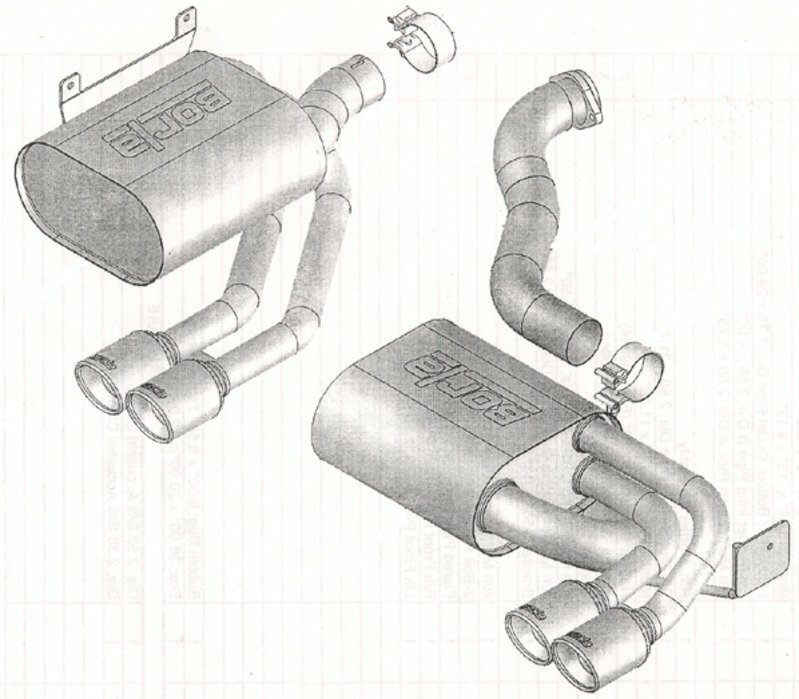 The Midpipe is recognized as one of the best exhaust upgrades that will reduce the raspy exhaust note from the S54 engine. 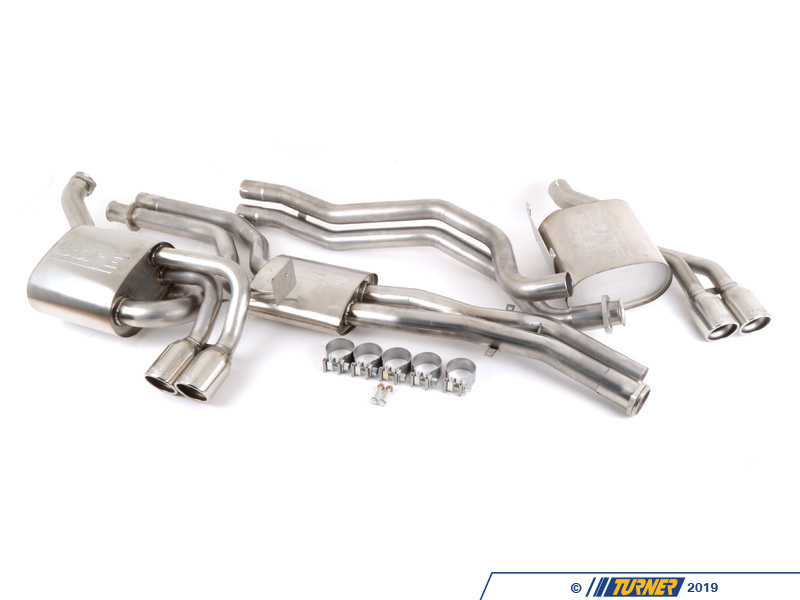 This full Borla exhaust for the E46 M3 will give more rumble and depth to the exhaust note, especially at low RPM. Four round tips in the bumper are a pleasing aesthetic bonus over the stock muffler tips. 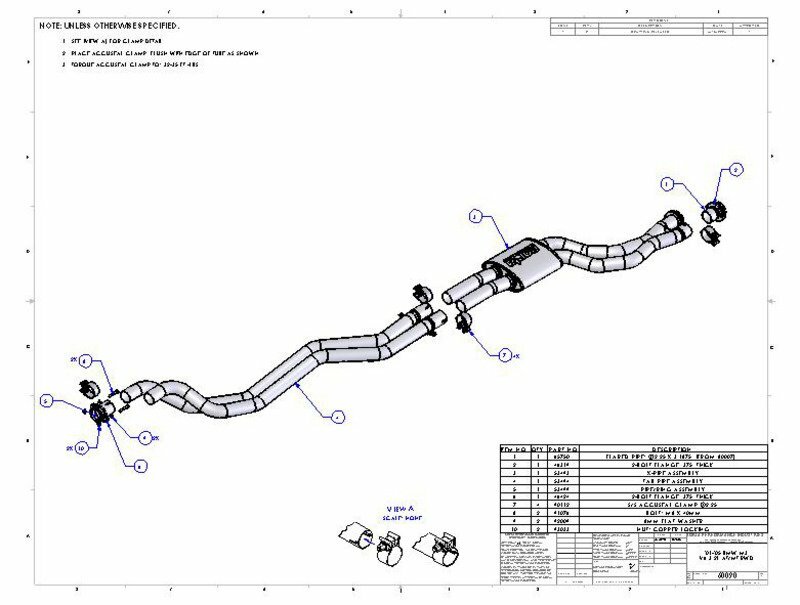 This is a true cat-back exhaust for the M3 with the front section bolting right to the headers/cats. All of the factory hangers and gaskets are re-used.